We offer to our clients superior quality of antimony trioxide that is mostly used as a flame retardant synergies in plastics, rubber, textiles, adhesives and many more objects. 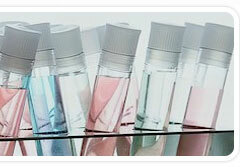 Besides these applications our product is also used by glass and paint manufacturers. Residue on 325 Mesh 0.010% Max. The major use of Antimony Oxide is as a Flame Retardant synergist in plastics, rubber, textiles, adhesives, fiberglass & Paper. Glass manufacturers use it as a fining agent or as degasser (to remove bubbles). Porcelain and Enameling services use it as an opacifier. Paint manufacturers use Antimony Oxide as a white pigment. It is sometimes used with other materials to form yellow pigments.